Interesting to note that DSLR, while being invisible on units chart, represents a good chunk of whole market money in 2009. 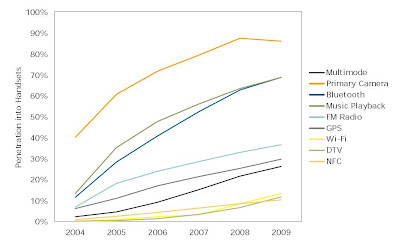 Sequrity is projected to remain big market all the years through to 2009. The strange thing is that DSC market goes down with time, both in terms of units and dollars. Probably, it's projected to suffer from camera-phones competition. Other noteworthy presentations from the same site are Kodak strategy on digital capture products (link) and digital cinema and TV business state and projections (link). In Feruary 2001 ISSCC held a panel discussion named: "Does Fabless Mean Futureless for Imaging?". Interesting to see that now, almost 6 years later, the question is still un-answered. Fabless Omnivision is still #1, even though Micron is about to overtake it. Atmel mostly abandoned the IDM model for fabless in image sensors. IDM Hyundai went through the number of spin-offs and re-orgs, but it did not add the market share to its far descendant IDM Magnachip. IDM Sony is still a very minor player in CMOS image sensors, despite many years of efforts and investments. Most of its market share comes from CCD. 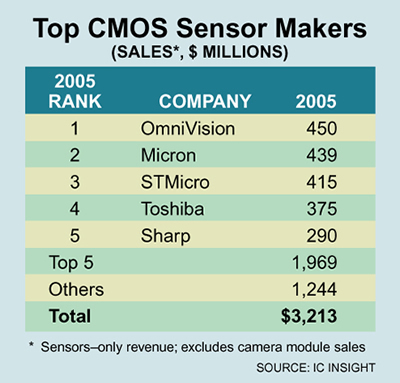 IDM Philips has never been able to capture a significant share of the CMOS sensors market. After a big mishap when supplying sensors to Motorola, Philips abandoned CMOS image sensors and sold its CCD and CMOS sensors business to DALSA. All in all, it looks now that the quality of team matters more than IDM or fabless nature of the company. A company having the best team wins in any type of model. Interesting that iSuppli states availability of 4MP models. No manufacturers announced 4MP camera-phone sensors so far. MarketWatch: "We need more design people to cover the scope of the market," Micron's CEO Steven Appleton said of the rationale for the Avago deal. "We're not satisfied with just being in the mobile space." "We just acquired Avago's business and we continue to look around," he added. "We think we're a leader in that space and we plan to keep it [that way]." Appleton estimates Micron's image-sensor business will make up 20% to 25% of the company's total sales in 2007, up from 14% this year. He has two segments of the market on his radar screen: automobiles and security cameras that monitor places like convenience stores. Already, Lexus's new LS 460 sedan is equipped with sensors that can parallel-park your car with the push of a button. Appleton predicts that there will be up to 10 image sensors in a single car within two to three years. EETimes and Digitimes published Samsung announcement of 1/4" 3MP image sensor for camera-phones. The sensor uses 1.75um pixel based on 90nm copper technology with minimized optical stack hight. The claim is that picture quality in the new image sensor is comparable to a 2.25-um pixel, 1/3-inch lens aperture. Samsung expects to mass produce the new sensor in the first quarter of 2007. So far 3 companies announced 1.75um pixel generation parameters: Micron, ST and Samsung. The comparison below is based on IEDM 2006 presentation by ST and Samsung and ISSCC 2007 abstract by Micron. For comparison, Micron old data on 1.7um pixel presented in 2005 on IEEE Workshop on CCD and Advanced Image Sensors is given too. Also, ST preliminary data on 1.45um pixel is added at the last column, as presented on the recent IEDM. "The real key to the collaboration is we are working with IBM to help them develop their manufacturing process. We helped them test those processes to get them ready for mass production. We know IBM processes inside and out. Each foundry has unique methods of manufacturing chips, and a chip designer who understands those methods will be more efficient. If you as a customer of IBM wanted to have the IBM foundry build you a custom image sensor, we would be the best qualified people to either design it for you or help you with that design to make sure it was maximized to go through that process. Forza's agreement with IBM is mutually beneficial. We help IBM with feedback from all the testing we do to keep their processes up to date. Putting "IBM preferred vendor" in the marketing material is a big boost for a small company like Forza." Forza Silicon, founded six years ago, has 18 employees and is expected to increase its staff to 25 in early 2007, Stinebaugh said. EETimes: Varioptic (Lyon, France), a developer of the liquid lens, agreed a production deal with Creative Sensor (Wuxi, China) in August 2006. Manufacturing capacity is now set to ramp from 100,000 liquid lenses per month at the end of 2006 to 1 million units per month by the end of 2007, according to John Barber, vice president of business development at Varioptic. Varioptic's new variable focus lenses are 7.75 millimeters in diameter. The unit price is 1.5 euros (about $2) for volume quantities, with a 1 euro per unit target by the end of year 2007, said Barber. Production quantities in Wuxi include Varioptic's new 7.75-mm lenses, aimed at camera phones, and previously introduced 10.5-mm devices, for use in webcams, barcode readers and medical equipment. Varoptic signed an agreement with Samsung Electro-Mechanics Co. Ltd. in 2004 and with Avago Technologies in October 2006. Founded in 2003, the French start-up now employs 60 people. Video/Imaging Design Line: Tessera's Giles Humpston and Michael Nystrom discuss the trade-offs in camera module design. Although the article is obviously biased towards Sellcase packaging, it gives a good overview of sensor packaging techniques for camera-phone module. For conventional semiconductors, the industry is moving toward ever thinner die. Wafers are now routinely thinned to 75µm thickness, and even 25µm is being practiced in high-volume manufacture. The underlying advances in wafer thinning technology have enabled some of the remarkably slim format products and electronics accessories that are now available. Notable examples are flash memory cards, smart credit cards and the complexity of functionality that can now be crammed into USB devices. By comparison, CMOS image sensors appear to be stuck in the Dark Ages with die thicknesses of hundreds of microns. There are two good reasons for this. The first is that the depth of black color (i.e. 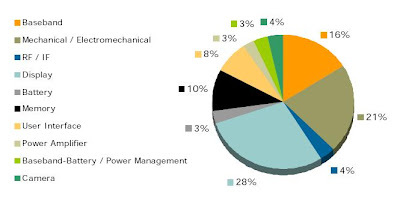 absence of light) that an imager is able to detect is determined by the leakage current of the photodiodes and certain active devices in the imaging array. This property is known as the "dark current" and can be measured. As a general rule, the dark current will increase as the semiconductor wafer thickness diminishes, and hence this metric affects the low light performance of the camera. The second consideration is mechanical. When the glass cover is attached to the imager, the center region of the die is provided with mechanical reinforcement. This leaves vulnerable protruding ledges where the bond pads are located. If the die is too thin, the fragility of these ledges is reflected in manufacturing yield loss. Advanced Imaging Pro: Tessera Technologies announced SHELLCASE(R) RT, one of the world's thinnest, wafer-level chip size packaging (WLCSP). As one of the thinnest WLCSPs on the market today (at ~500microns), SHELLCASE(R) RT enables very low profile camera modules. Yahoo: Forza Silicon and IBM announced that they are collaborating to develop CMOS image sensor chips using IBM's CMOS Image Sensor Foundry (CIMG) process, and characterizing IBM's image sensor IP. IBM's CIMG foundry, based in Essex Junction, VT, uses 180-nm and 130-nm copper process technology with 4T image sensor IP. Forza contributes mixed signal IC design services and products to IBM Technology Foundry program. Digitimes: Mobile phones have emerged as the single largest market for image sensors, surpassing the entire consumer electronics segment to become the main application for both charge-coupled device (CCD) and CMOS image sensors, according to iSuppli. Revenue from shipments of image sensors for mobile phones will grow to US$5.9 billion by 2010, increasing at a compound annual growth rate (CAGR) of 27.4%, up from US$1.7 billion in 2005. 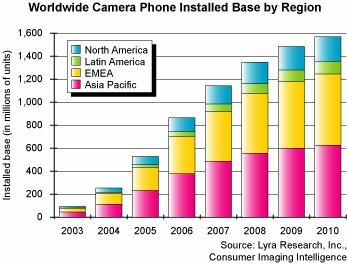 Unit shipments of image sensors to mobile phones will grow to 1.2 billion by 2010, increasing at a CAGR of 19.7%, up from 484 million units in 2005. In 2005, 199 million image sensors were sold for all other applications outside of mobile phones, including digital still cameras. By 2010, this disparity will grow more, with nearly 1.2 billion sensors shipped for mobile handsets and slightly less than 350 million shipped for other applications. Although cameras have become standard on most mobile phones, studies suggest that actual usage remains much lower, with less than 10% of consumers actually using the device as their primary image capture device. Digital still cameras remain the device of choice for capturing images digitally mainly because of the lower image quality in mobile handsets, drawbacks in form factors and ease of operation in mobile phones and difficulties and sometimes the cost of transferring photos from a user's phone to another device, such as a PC. These challenges are exacerbated by two other factors: marketing from digital still camera manufacturers and user experiences. In the first case, camera makers have successfully trained consumers into thinking they need more megapixels than they actually require. The second factor is the difficulties users face with phone cameras when trying to perform common photography tasks like printing, cropping and zooming. Cameras generally need between four and five megapixels to support these tasks. However, users may have to get accustomed to low-resolution camera phone pictures because at the current rate of advancement, the average camera phone will not reach the four to five megapixel level range until 2010. Digitimes: At its 10th anniversary celebration, DRAM maker ProMOS Technologies reaffirmed the company's expansion plans including entering CMOS image sensor production. EETimes: Micron plans to add another 30 engineers to bring the Bracknell design center total up to 90 by the middle of next year. Asked whether the mix of talents required at Bracknell had altered following the acquisition of Avago's image sensor business, David Burrows, director of the centre, said: "Not at all. The Avago groups will continue to focus on mainstream products, for example chips, sensors and SoCs. We will do that here as well, but also build up our portfolio of IP libraries and building blocks that will be used by designers throughout the image sensors group." Burrows added that the Avago acquisition did not include any manufacturing capacity, since Micron has sufficient production capability for CMOS image sensors at its wafer fabs in Boise and Avezzano, Italy. Many of the center's new recruits came from Agere, which closed a design group just a few miles away. Yahoo-Finance: Micron acquires Avago Technologies' image sensor business for approximately $53M, plus contingent payments payable to Avago if certain milestones are met. The acquisition provides Micron with an experienced imaging team, select imaging products and intellectual property relating to Avago's image sensor business. The Avago imaging team joining Micron consists of about 90 employees, mostly engineers, from Corvallis, Ore.; Fort Collins, Colo.; San Jose, Calif.; and Penang, Malaysia. It's not immediately clear if optical mouse sensors are included in the deal. Canesta outsources its manufacturing to Tower Semiconductor. Its 3-D CMOS image sensors are cast in a 180-nanometer process. Its business model calls for it to sell camera modules to OEMs and to license its technology to manufacturers that want to make their own cameras able to perceive in 3-D. So far it has sold about 100 development kits to OEMs and manufacturers for apps as varied as video games, industrial automation and automobiles. Honda Motor Co. Ltd. has made investments in Canesta totaling more than $5 million over three years. Solid State Technology: After five years of double-digit growth, the digital camera market is leveling off to a plateau of roughly $18 billion/year as most users have already converted from film photography. 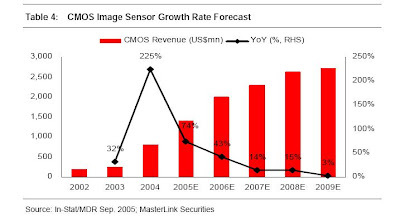 The next big growth trend to watch -- the crossover for CMOS image sensors to surpass charge-coupled devices (CCD), according to data from IC Insights Inc.
After quadrupling in value from 2001-2004, the digital still camera market is expected to slow down to just 5% growth in 2006 to $18.1 billion, and remain basically flat through the end of the decade, while unit shipments ratchet down from a 38% compound annual growth rate (CAGR) from 2000-2005 to just 6% CAGR from 2006-2010. 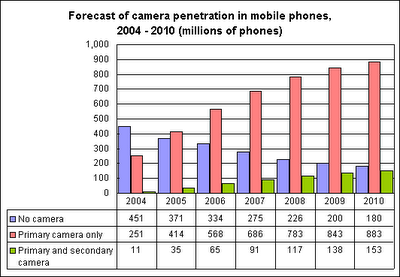 About 81.9 million standalone digital cameras are expected to be sold in 2007, a 7% increase from 2006. An important trend in digital cameras is growing adoption of high-speed CMOS image sensors, which are already in most embedded cell-phone cameras, but now increasingly used in "hybrid" models offering both high-resolution still pictures as well as high-definition full-motion videos. 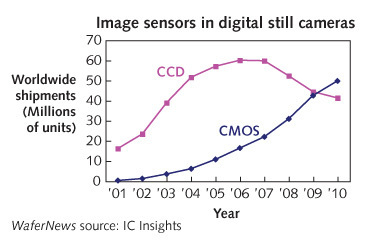 About 79% of today's digital still cameras still use CCDs, but IC Insights projects a crossover by 2009 where CMOS image sensors surpass CCDs in digital still cameras. This year, Micron has surpassed fabless OmniVision as the top image sensor supplier, with sales surging 147% in its just-closed fiscal 2006 (through August) to $749 million, about 14% of its overall revenues, a 7.5xfold increase from 2004's $99 million. The company is utilizing old DRAM fab lines in the US, Italy, and Japan to produce CMOS image sensors, including a closed 200mm fab in Idaho purchased from Zilog restarted for image sensor work. Most of the top CCD makers are in Japan (e.g., Matsushita, Fujifilm Microdevices), although Kodak has a CCD fab in New York. But several CCD makers including Sony, Sharp and Toshiba are shifting capacity to CMOS image sensors, and even Samsung is expanding its output of CMOS image sensors. Digitimes: TSMC announced that it has acquired 90.5 million shares of XinTec, an IC packaging house specializing in CCD and CMOS image sensor wafer-level packaging, through a private placement with the total investment being NT$1.357 billion (US$42 million). After the investment, TSMC has a 43% stake in XinTec. Yahoo-Finance: The new Canesta SunShield(TM) technology has been granted U.S. Patent No. 6,919,549, "Method and System to Differentially Enhance Sensor Dynamic Range." A key challenge in uncontrolled lighting conditions, such as those common in automotive applications, has been dealing with both bright sunlight and the rapidly flickering shadows that often accompanies it. Canesta's native technology uses bursts of infrared light from tiny lasers or light-emitting diodes (LEDs) to illuminate the field of view, and then measures the "time of flight" that it takes the photons of infrared light to bounce off of nearby objects and return to the sensor. From this, the sensor chips form a real-time 3-dimensional image, at 30 frames per second or better, which can be used to detect objects. In the presence of strong sunlight, however, the extremely low-level illumination from the laser or LED is, in effect, swamped out. If a system is made sensitive enough to perceive the infrared bursts, then it completely saturates in the presence of bright light, not unlike our eyes do when surprised by a camera flash. By contrast, if the system is configured to work at the highest levels of sunlight, then the infrared pulses become too faint to measure accurately. Canesta solved this problem with a simple and elegant solution. Rather than allowing the sensor to saturate by having it observe the scene for too long a time - in this case the duration of one "frame," a series of shorter samples are taken that keeps the amount of ambient light for any one sample within the dynamic range of the sensor. During each sample, the system receives photons from both the ambient background and from the infrared ranging signals. At the end of the sample, the signal from the ambient sources is simply discarded, while the ranging signal is saved. When the time comes for the sensor array to output a frame - say, every 30th of a second - the results from each sample, which now only contain the ranging signal component, are added together to determine its final value. Global Sources published the image sensors pricing info on Chinese market: Currently (Sept 26, 2006), 2MP CMOS sensors are quoted between $4.5 and $5. Taiwan makers expect prices to decrease by 10 percent to 20 percent throughout the rest of the year due to stiff competition and supply surge. CIF and VGA CMOS image sensors are offered at about $1 per unit. 1.3MP CMOS image sensors are quoted at $2 to $3.50, while 2MP CMOS sensors come at $4 to $5 per unit (a slight contradiction with the numbers above). Quotes for 3MP CMOS image sensors range between $6.50 and $8. The global market for image sensors continues on an upward trend, with total revenues expected to rise from $3.86 billion last year to $4.44 billion this year, according to research firm In-Stat/MDR. The CMOS image sensor market continues to expand due to the popularity of camera phones and digital still cameras (DSCs) as primary applications, and PC cameras, toys and optical mice as secondary applications. The segment estimates total revenues of $2 billion this year, up from $1.4 billion in 2005. Likewise, the emerging market for contact image sensors (CIS) estimates revenues of $409 million this year, up from $340 million. On the other hand, the CCD image sensors market will experience a gradual decline in revenues from $2.1 billion last year to $2 billion this year. The segment estimates total revenues of $1.3 billion by 2009, accounting for less than 30 percent of the market. EETimes: The automotive sensor market already tops $2.5 billion, according to ABI Research (Oyster Bay, N.Y.). Another $750 million is divided among security, industrial automation and videogaming uses of electronic sensors, according to Frost & Sullivan, the Automated Imaging Association and Piper Jaffray, respectively. Said this, the article concentrates on Canesta 3D Imager and its applications in automotive. Shone Tran from Cypress published an article in Video/Imaging Design Line on image sensor design for notebook webcams. Obviously, the article is biased toward Cypress products, but gives a good review of webcam requirements anyway. This controversial idea was presented a few months ago and was widely debated then. Most opinions are that the light sensitivity of this sensor is very low, so its applications are limited. Global Sources published an aritcle on Far Eastern CIS manufacturers news. The most interesting product to come is from Pixart. PixArt Technologies Inc. from Taiwan plans to develop integrated image sensors and low power optical mouse sensors for wireless applications this year. Pixart also plans to develop 4T pixel color/mono image sensors - quite a lete decision in the time where the whole industry is 4T already. Silicon Optronics Inc. (SOI) plans to release 3MP image sensors in the near future. At present, its product line includes 2.1MP UXGA, 1.3MP SXGA and VGA color image sensors. Models from the VGA series such as the SOI763A with 1/4in lens size are among its bestsellers. LiteOn Semiconductor Corp. offers contact-type monochrome CIS and color CIS. LiteOn's product roadmap for the year includes low noise 3.3V/600dpi color CIS, low-cost 3.3V/1,200dpi color CIS, ultra fast three-channel 3.3V/1,200dpi color CIS, linear fingerprint image sensors for mobile phones, and laser mouse image sensors. SiliconFile Technologies Inc. recently introduced a 1.3MP model, the NOON130PC20, which incorporates a 1,308x1-52 pixel array, on-chip 10bit ADC, and an image signal processor. It has 1/3.8in optical format and supports 15fps (SXGA), and 30fps (VGA) frame rate. Its sensor technology enhances image quality by reducing FPN, horizontal and vertical line noise and random noise, and supports 15fps (UXGA) and 30fps (SVGA) frame rate. Pixelplus Co. Ltd, plans to release by year-end its PO5130 1.3MP CMOS image sensor that integrates an array of 1,280x1,024 effective SXGA resolution. The device uses 0.13Âµm process technology with improved image quality under low light conditions. For camera phone applications, VGA image sensors dominated the market last year. Makers expect 1.3MP models to finally surpass VGA this year. Makers believe that higher resolution image sensors including 3MP and 5MP models used in 2.5G or 3G camera phones will not become the market standard until 2008. Tech-On: Sharp has released the LZ0P3770 5-megapixel CCD camera module for mobile phones. The module features a 3x optical linear zoom, which the company claims as the first of that sort among camera modules featuring an inner zoom for mobile phones. Sharp said the module also has auto focus and mechanical shutter. The module employs a hybrid lens, which combines glass and plastic to boost refraction. Using its know-how of high-density packaging along with the lens, the company achieved a module height of only 21.7 mm. Sensor format is 1/2.5", meaning the pixel size is about 2um, quite old technology for a CCD. Lens: Wide F3.6, Tele F7.1 - unusualy small aperture, especially at tele end. EETimes: Sony is recalling eight models of its digital still cameras because of a packaging-related defect in the units' CCD image sensors. The company has identified a glue used in the packaging as the source of the sensor problems, according to a Sony spokesman based in London. Water, including humidity, can react with and deteriorate the glue (which contains iodine), compromising the packaging. As a result, the image sensors may produce distorted images, or none at all, on a camera LCD, the spokesman said. Sony has switched to a glue that does not contain iodine. Toshiba holds a significant share of the market—and has supplied image sensors to 8 of the top 10 mobile phone manufacturers globally as ranked by Gartner Dataquest (Feb. 2006). Toshiba employs over 300 engineers dedicated to the development and application engineering of imaging products. Two of the company’s dedicated wafer fabs, located in Iwate and Oita, Japan, are focused on CCD and CMOS image sensor manufacturing. Toshiba is the only company that can claim leadership in both area image sensors (such as those found in camera phones) and linear image sensors (utilized in scanners). Noise in Imaging Systems has much in common with noise in the classical world of analog electronics, but imaging adds some very specific noise issues to consider. In many cases the electronic engineer only refers to temporal noise when discussing noise, but in an imaging system non-temporal noise sources also need to be taken into account. In addition, the perfect image sensor in a perfect camera still suffers from noise, because of the photon shot noise of the input signal. This forum is organized to contribute to a better understanding of noise issues in imaging systems and to stimulate creativity in this field. The speakers at this forum are world experts in this area. Takao Kuroda (Matsushita) will introduce the topic to begin the forum. The next talk, by Boyd Fowler (Fairchild Imaging), will discuss several noise mechanisms starting with the most important one, kT/C noise. The kT/C noise sets a fundamental detection limit on capacitive sensors. Therefore it is important to understand the factors that determine the kT/C noise and how this noise may be mitigated. Bedrabata Pain (JPL) will speak on the topic of device-level noise. The pixels in imagers are becoming extremely small and several noise sources can be distinguished within every pixel. Shrinking the CMOS technology will put constraints on the pixel’s noise behavior. A CMOS imager is usually a complex mixed analog-digital system-on-chip and circuit noise often dominates the total noise of the image sensor. The circuit noise is observed as a fixed pattern noise or a temporal random noise. The former is originated by device mismatches and is cancelled in the analog and/or digital domains, while the latter is more problematic. Shoji Kawahito (Shizuoka U) will discuss noise at the circuit level. One level higher than the circuit is the system level. Each of the system elements plays an important role in determining the overall noise of the system. The optics may introduce noise in the form of stray signals, such as flare and ghost images, both of which result from internal reflections. A system-level view must also consider factors such as the pixel spectral response, which affects noise amplification, as well as the noise originating from power supply variation, timing jitter, and imperfect FPN cancellation circuits. The speaker invited to talk about system-level noise is Rick Baer (Micron Technology). Random noise and distortion added to an image signal only matters when it can be seen. Seeing it however does not necessarily mean that it will be considered as a defect. Visual artists learn to use the features of a technology that impart a distinctive look to the resulting image for artistic goals. Jim Larimer (ImageMetrics) will review the properties of the human visual system that allow viewers to see distortion and noise in the temporal, spatial and intensity domains of the image, how the eye samples the signal and how this process can “beat” with capture and reconstruction methods. The last presentation of the forum will highlight some algorithms used to cancel noise in images. Aleksandra Pizurica (Ghent U) will review some of the latest and best available multiresolution methods for noise reduction. Attention will be given to the following topics: estimation of the noise statistics from the input image (or video); construction of spatially adaptive denoising methods; motion estimation/compensation and noise suppression adapted to motion estimation reliability. In addition, some application specific topics, such as the use of “noise patterns” and camera reference frames for denoising digital camera images will be reviewed. Although this forum focuses on imaging systems, the issues and techniques dealt with are also applicable to other emerging fields. Fukuoka Institute of Technology put out an advance ISSCC 2007 program, even though it's password protected on the official ISSCC site. A 1/2.5 inch 8.1Mpixel CMOS image sensor with 1.75μm pixel pitch is designed to operate at 2.8V for digital still camera applications and down to 2.4V in mobile applications. The chip uses top and bottom multiple channels with a double-data-rate analog signal readout at a rate of 96Mpixels/s, which results in total 192Mpixels/s. With the analog gain set to 15.875 and a 12b ADC the noise floor falls as low as 3.8e-, yielding a pixel DR of 63.8dB. It's not clear what happened with 2e- noise floor that Micron announced about 1.5 year ago. Now the performance numbers are much more modest. Also, the small DR number shows the full well capacity is quite low, about 6Ke - too low to become a viable contender for digital camera market, or even for high end camera-phone market. After a 2-year work on 1.75um pixel development it looks like Micron hits a brickwall with pixel size shrink. A 1/2.7 inch 1944×1092pixels CMOS image sensor with multi-gain column amplifier and double noise canceller is fabricated in a 0.18μm 1P3M CMOS process. It operates at 48MHz in a progressive scanning mode at 60fps. A 2T/pixel architecture and low optical stack with micro innerlens achieve 14.8ke-/lx·s sensitivity, 14ke- saturation, 3.7erms noise and 12.2e- dark current at 60°C. The pixel size is about 3um here, quite outdated by now. However, the noise is quite good and dark current numbers are really astounding. A 3T CMOS image sensor is designed with cost-effectiveness and a high degree of flexibility in mind. It supports an optimal interaction between imager and the external processing. An overall noise level of 11.5e- (4e- for the pixel alone) is obtained along with a Qmax of more than 15ke- per pixel. The design supports 1920(H)×1080(V)p90 and 1920(H)×1080(V)i180 at a data rate of 2.7Gb/s. It's not clear how they achieved 4e noise for 3T pixel, combined with 15K full well. Quite an achievement for 3T design. A MOS image sensor has digital-microlenses implemented by sub-wavelength patterning of concentric SiO2 ring walls. The sensitivity at the periphery of the imager is 3000e-/lx·s. In comparison, the sensitivity at the periphery of a conventional imager is 1300e-/lx·s. Thus, extremely uniform brightness throughout the reproduced image is demonstrated even with an angle of incidence >45°. A CMOS image sensor uses a column-level ADC with a multiple-ramp single-slope (MRSS) architecture. This architecture has a 3.3× shorter conversion time than a classic single-slope architecture with equal power. Like the single-slope ADC, the MRSS ADC requires a single comparator per column, and, additionally, 8 switches and some digital circuitry. A prototype in a 0.25μm CMOS process has a frame rate 2.8× that of a singleslope ADC while dissipating 24% more power. CNET: Flextronics has licensed digital imaging technology from HP and will begin to incorporate the technology into cell phones that hit the market in 2007. HP currently includes the same technology in its own digital cameras. "There will be a number of cameras that will ship with this technology," said Joe Beyers, vice president of HP's IP licensing group. "This is core technology within the image capture process itself." Flextronics makes phones for Motorola, Kyocera and Sony Ericsson, among others. Stanford University hosts Technical Forum on Camera Phone Image Quality on December 7, 2006. What's the Problem with Camera Phones? 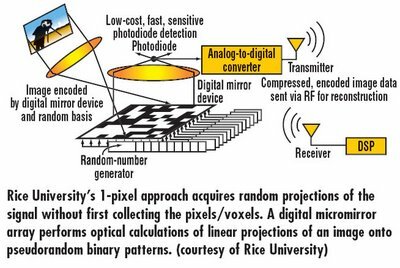 -- Image Quality Scaling: Bror Hultgren, Image Integration, Inc.
Eric Fossum published digital grain idea he presented on 2005 IEEE Workshop on CCDs and Advanced Image Sensors in Karuizawa, Japan and also at the Shizuoka University symposium on Nanoelectronics in Nov 2005 (link). The patent on the digital grain idea belongs to Siimpel (based on Eric's info in DPReview forum). Eric writes: The paper proposes using binary pixels (e.g. geiger-mode photodiodes) that I call jots and that are very very small. The jots are readout and OR'd together to create a grain, and the grains are then digitally developed by software to create pixels and an image. Grain size can be dynamically varied, both inter-frame and intra-frame. John Parangalan from Chipworks wrote an interesting article in Electronic Design based on reverse engineering of Canon, Micron, Samsung and Sony sensors. I noticed them recently in EETimes article. Banpil's specialty is Multispectral Imaging Sensors. CCD and CMOS image sensors technology are based on Si-technology, the detectable spectral ranges are limited to the wavelengths below 1 um where Si exhibits absorption. Besides, CCD and CMOS image sensors also have other shortcomings such as the inability to achieve high efficiency response combined with high quantum efficiency over a broad spectrum. It is highly desirable to design a monolithic sensor array, which could offer high bandwidth combined with high quantum efficiency over broad spectral ranges, and the possibility to rapidly and randomly address any pixel. BANPIL has been issued with a patent on broadband image sensor capable of a broad spectral range and high sensitivity over a wide spectral range. This image sensor is capable of replacing today's CCD and CMOS sensors. The authors are with the Graduate School of Information Science and Technology, Hokkaido University, Sapporo-shi, 060-0814 Japan. We designed a CMOS image sensor capable of capturing variably smoothed images. This sensor uses a negative-feedback technique to set photodiode (PD) capacitance in the pixel circuit to any intermediate voltage during charge accumulation and it provides a neighboring-pixel operation by using their average value when resetting the PD capacitance. Smoothing-filter coefficients are changed by adjusting timing of the pixel-readout and neighboring-pixels operations. 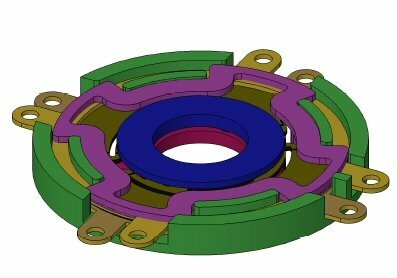 The performance of the proposed sensor was evaluated by SPICE simulation and numerical analysis. I'm intrigued to see what came out of this. Epson Toyocom announced super-sensitive gyro sensor XV-8000CB. The sensor is mainly intended for in-car GPS, but its sensitivity allows also a very efficient digital camera image stabilization. A first to an Nth (N is 2 or more) images are read (34) during a charge storing period of a charge storage means (31), the read first image is held by an image holding means (35), the held first image is shifted by 1/N of a moving quantity of an image pickup device by an image shifting means (36), and the shifted first image is added to the second image, and the image obtained by the addition is shifted again by 1/N and a third image is added. Such operations are repeated up to the Nth image (37). Camera shake correction can be performed without using a device having a special mechanism. Sounds a bit similar to Sony's digital stabilization and Canon's one. Will see what's in the paper on ICCE. As the name implies the image stabilization might be implemented inside an image sensor. This is certainly worth watching. DPReview: Sharp announced 12MP 1/1.7" CCD with 1.88um pixels. Looks like almost the smallest pixel size CCD , other than Sanyo's 1.56um pixel FFT CCD announced almost a year ago. There is a new blog devoted to digital optics and camera-phones: Al-Manazir. Google cash reveals details of hidden IBM pdf file with CIMG7SF CIS process description. IBM Semiconductor solutions offers a leading-edge CMOS image sensor (CIMG) technology based on IBM’s industry-standard 180-nm CMOS technology family. Clients can choose appropriate devices and design tools to match their application requirements. Base technology IBM CIMG7SF provides a highly competitive sub 3.0-µm, 4-transistor 4-shared (4T/4S) pixel architecture with an optimized transfer gate, which is ideal for mobile camera phone and digital still-camera applications. CIMG7SF also provides large reference pixels for high end digital still camera and emerging applications. The offering includes state-of-the-art micro lenses and color filters for exceptional quantum efficiency and angle response, along with pinned photodiode technology for reduced dark current. This technology uses aluminum wiring for the last metal level and copper wiring for the remaining metal levels. With thin back-end-of-line (BEOL) metal stacks and improved dielectric tolerance, CIMG7SF is ideal for multiple CMOS image-sensor applications. The document is dated by July 2006. Yahoo-Finance: Tower Semiconductor announced another image sensor customer - SuperPix from China with 2MP sensor. Initially, the products will be used in cellular phone and smart phone cameras to be retailed within the Chinese market, with projections to eventually expand sales internationally. The Chinese market is the fastest growing retail customer base for cellular products. 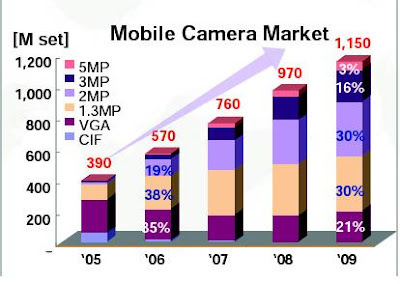 The annual market for cellular and smart phone image sensors in China, alone, is projected to exceed 200M units in 2008 and 300M in 2010, with business volume of the image sensors projected to exceed $500M. Up to now, Superpix has successively developed a series of CIS-SOC chips including 1/3 inch UXGA, 1/4 inch SXGA and 1/6 inch VGA. The pixel size of these products spreads from 2.8um to 3.6um. It's not immediately clear why this fast paced history log is ended a year ago. Company pages copyright notice reveals its connection with Micro Technology(Beijing)Co.,Ltd. If SuperPix is a spin-out of Micro, this can explain a very fast development schedule. Democrat & Chronicle: On the latest conference call Kodak's CEO Antonio Perez said Kodak believes that the sensor project could begin paying dividends soon. The company has been distributing its CMOS sensors for evaluation and has racked up $100 million of "design wins," in which a manufacturer chooses a particular product design over a competitor's. The $100 million will not necessarily all translate into revenue, Perez said, "but I am trying to give you a sense of where we are ... we are building a portfolio of design wins with which I am very happy." Theodore Franceschi, chief development officer and co-CEO at New Scale, said that in his discussions with handset manufacturers, he hasn't sensed a groundswell of demand for Kodak's sensor technology. But he quickly noted that the company does have a competitive strength in providing the imaging know-how for the sensors to produce better-quality images. Analysts say that sales of camera phones are on their way to topping 1 billion a year by late 2008. The scent of opportunity has also attracted a small Victor startup company with pioneering technology in providing miniaturized motors that can power zoom lenses or auto focus functions in camera phones. That's New Scale Technologies, which is working with Tamron Co. Ltd., a leading maker of precision optics based in Japan. Tamron is licensing New Scale's technology for use in Tamron's optical imaging assemblies, which include digital still cameras, camcorders and mobile phone cameras. Yahoo-Finance: Dongbu and Siliconfile announced jointly developed 0.13um process generation. Volume production of CIS devices using the new process is expected to begin during the first quarter of 2007. The most strange thing about this press-release is that there is no mention of pixel size - one of the best metrics of process advances. The new process uses a 3-layer aluminum interconnect. Distance between the photodiode and the micro lens has been reduced to less than 4 microns. Here the press release states "This compares to a 5-micron distance in CIS chips from the world's largest CIS device manufacturer, Micron Technology Inc." This is quite a rare direct comparison statement for an official press-release. Also, the data about Micron seems to be a little outdated. The claim also improvements in color quality in terms of resolution, gray scale, relative illumination and color crosstalk among red-green-blue pixels, thereby improving sensitivity by more than 20 Percent. Af for the next step, Dongbu is targeting early 2008 to qualify a CIS process at the 110nm node for volume production. Another image sensor startup just came to my attention: TrueImaging Technology (San Jose, CA). It offers "unique "analog-free" ultra high dynamic range CMOS Image Sensors for cell phone cameras and multi-megapixel digital cameras". Its "patented technology enables superior image quality with better edge precision in sunlight conditions and vastly improved clarity in low-light conditions. TruImaging raises the bar above all the other analog-based image sensor players by bridging the quality/cost gap -- providing high CCD quality at low CMOS cost and low CMOS power consumption." TruImaging's patented oversampling technology is critically strategic to cell phone camera OEMs and ODMs -- because it directly overcomes the "limitation of electrons" when cell camera pixel size needs to scale from 4um down to 3um and below. 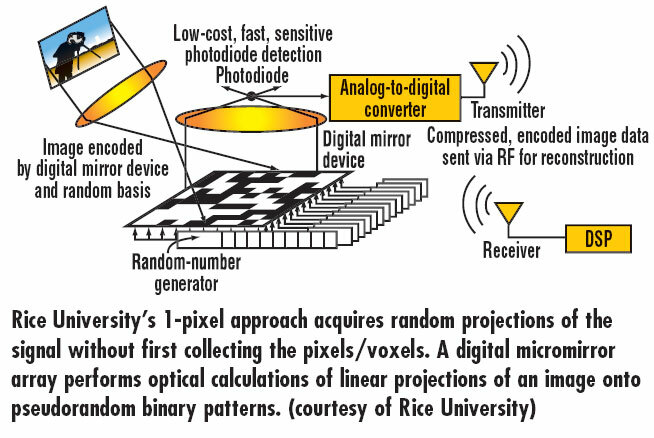 This is a physical limitation for all the analog-based conventional Active Pixel Sensors (APS) and CMOS approaches scaling to multi-megapixel cell cameras (1, 2, 3MP). As focal plane resolution increases and lower frame rate (with longer integration time) is required for low light conditions with reduced photo diode sensitivity, output data rate is a serious problem for all analog readout players where noise bandwidth increases proportionally to the amount of data being transmitted. TruImaging addresses the noise sources by being digital at the pixel level with oversampling. TruImaging overcomes the "limitation of electrons" by effectively increasing well capacity, which increases signal and signal-to-noise ratio, which reduces the effects of shot noise and KTC noise -- beyond all other approaches. More light capability means better image quality. TruImaging Technology provides unsurpassed ultra high dynamic range and significantly increased sensitivity necessary for low light level performance. This translates into "Day/Night Vision", "Indoor/Outdoor", "In the sun/out of the sun", flashless cell phone cameras... affordably. Integrated digital conversion on focal plane for digital cameras. Analog to digital conversion is at each pixel. Thereby, eliminates all analog electronics for improved reliability and reduced cost. No precision analog or trim to fit components are used. 100% pure digital circuitry implementation of analog to digital function with no analog ADC circuitry. Proven to be extremely low power compared to all other focal plane design methods. Exceeds the capabilities of analog and other digital approaches in linearity, dynamic range and signal to noise ratio. Uses generic CMOS logic manufacturing process. However, the investor page on its site does not name any, while the news page promises to exhibit products within a year. The site design is dated by 2004, however there is no products exhibited yet. The site does not name people behind the company. Sci-Works (Germany) offers ISP cores as IP blocks, quite a rare product on the market. The cores range from 1.9MP to 5MP (MARVIN) with an impressive feature set. A web site has been reserved for 2007 International Image Sensor Workshop (formerly the IEEE Workshop on CCDs and Advanced Image Sensors). The workshop is to be held in The Cliff House Resort & Spa, Ogunquit, Maine on June 7-10, 2007. As written in a call for papers doc, Jerry Hynecek is with Magnachip now. So, recently Magnachip acquired quite a few well known talents, including Jason Hartlove, former Avago image sensor head. We will see if and when this translates into the better sensors. IEDM gradually becomes the biggest image sensor content general IEEE conference. This year there are quite a few image sensor papers. The biggest suprise of the show is ST 3MP imager with 1.45um pixels. So ST becomes the second company after Micron, that demonstrates working 1.45um pixel . There are also Samsung and ST imagers with 1.75um pixels described in the papers. Monday, December 11, 1:30 p.m.
RTS is observed and studied in 4T CIS pixels made in 0.18um CMOS process, the actual dominating pixel read noise is dominated by a single interface trap in the SF. The CDS influence on RTS noise is characterized and the temperature dependency measurement unveiled two mechanisms of RTS during CDS. I would like to summarize the feature of the proposed Imaging system with CMOS image sensor for high-quality imaging. Especially, I focus my discussion on the low noise technology for high quality imaging. Technology and characteristics of 8-mega density CMOS Image Sensor (CIS) with unit pixel size of 1.75x1.75um2 are introduced. With recessed transfer gate (RTG) structure and other sophisticated process/device technology, remarkably enhanced saturation capacity and ultra-low dark current have been obtained, which satisfy the requirements of high density digital still camera. An innovative process development for sub-2um CMOS imager sensors is described, leading to tremendous improvements on main pixel parameters like conversion gain, saturation charge, sensitivity, dark current and noise. A full 3MP demonstrator with 1.75um pixel pitch and 1.45um pixel pitch have been successfully designed, fabricated and characterized. A CMOS imager technology is described using Cu wiring and a polymer lightpipe. A SiN layer on the sidewalls of the lightpipe reflects light and forms a hermetic seal, protecting the Cu wiring from ambient moisture. Using this structure, high quantum efficiency can be achieved for a 2.2 um pixel. We report record performances for the reliability of amorphous silicon (a-Si:H) photosensor under high flux illumination. A fully functional VGA (3.0 um pitch) image sensor, which can withstand 90 suns (= 9 Mlux) during 26 ks, was realized by the optimization of a-Si:H parameters, the pixel structure and the reading voltage. Hybrid and monolithic thinned backside illuminated CMOS imagers operating at full depletion at low substrate voltages with low crosstalk were developed. The combination of a 50um EPI layer with varying doping concentration and trenches to reduce crosstalk is unique. All thin wafer processing was performed on temporary 8 carriers. The paper reports on the demonstration of a 256x256 infrared focal plane array sensor integrated with readout IC using high density high aspect ratio 3-D interconnects. The 3-D integration technology is described, and results of electrical testing of the demonstration vehicle are presented. EETimes: Micron is advertising a number of design engineering positions at its imaging design center in Bracknell, England. According to an advertisement Micron Europe Ltd. is seeking talented engineers with experience of: system design, software intellectual property development, analog, mixed-signal and digital IC design, IC layout, IC design verification, IC characterization, CAD infrastructure development and intellectual property library development. So that's just about everything from soup to nuts. Taiwan Semiconductor Manufacturing Company (TSMC) will become the largest shareholder of XinTec, an IC packaging house specializing in charged coupled device (CCD) and CMOS image sensor wafer-level packaging, following a planned purchase of a proposed private placement of XinTec. XinTec announced October 17 that it will release a total of 90.52 million shares with a per unit price of NT$15 via private placement. The packaging house should accordingly raise NT$1.36 billion worth in funding. XinTec welcomes further investment from TSMC through this fund raising, according to the company's chief financial officer (CFO). TSMC posted a filing on the Taiwan Stock Exchange (TSE) on the same day detailing its plan to purchase XinTec shares. A Chinese-language Economic Daily News (EDN) report said that TSMC should take up about a 40% stake in XinTec. VisEra holds about a 30% stake in XinTec. XinTec chairman Shang-Yi Chiang, who retired as TSMC's R&D senior vice president in May 2006, is the present chairman of VisEra Technology. VisEra Technology, the joint-venture between OmniVision Technologies and TSMC, holds two director seats on XinTec's board of directors while OmnVision holds another supervising director seat. Quanta Computer holds one director on the board. VisEra contributed about 71% to XinTec's revenues in 2005. XinTec currently holds an approximate 30% global market share in wafer-level image sensor for handsets. XinTec licenses the CSP from Shellcase, Tessera now. Digitimes: VisEra to volume produce at new 12-inch fab in Oct 2007. VisEra Technology (VisEra), the joint-venture between OmniVision Technologies and Taiwan Semiconductor Manufacturing Company (TSMC) on CMOS image-sensor production, anticipates to start volume production of image sensor color filters (CFs) at its new 12-inch fab in October 2007, following the official construction start recently. VisEra held a ground-breaking ceremony for its new 12-inch fab and R&D center at Hsinchu on October 13. Equipment installation is slated for the middle of 2007 with volume production to follow in October. Company chairman Shang-Yi Chiang, who retired as TSMC's R&D senior vice president in May 2006, said VisEra will invest over US$200 million in the plant for the production of CFs and microlens arrays and R&D. The fab shell is expected to completed in the first quarter of 2007 with cleanrooms and equipment installation to follow, Chiang detailed. Design rule will be advanced to 90nm from the current 0.13-micron, he noted. VisEra currently houses one 8-inch fab with a monthly capacity of 30,000 wafers at TSMC's Hsinchu Fab 7. MasterLink Securities published a couple of interesting research reports on Pixeart business. The big report is here with a recent status update here. "PixArt entered camera phone chipset (sensor plus DSP) market in 2004, targeting at VGA level camera phone, and this product accounted for 8% of overall sales in 2004. PixArt’s camera phone chipset was collocated with MediaTek’s baseband to sell to China market in 2Q05, leading to its revenue from camera phone chipset growing 691% to NT$1.28bn in 2005, accounting for 43% of total sales in 2005. Camera phone chipset thus became PixArt’s growth driver in 2005. However, China government prohibited “White brand” handset in 1H06, leading to PixArt’s shipment for camera phone chipset shrinking to only around 1mn units monthly in 1H06. PixArt is thus aggressively cooperating with UMC to lead in CMOS 4T process to enter MEGA pixel market and we expect this new product to successfully enter mass production in 2H06. Moreover, PixArt has designed in its camera phone chipset into TI’s supply chain. We expect PixArt’s camera phone chipset to start shipping to Taiwan’s handset ODM through collocated with TI’s baseband in 2H06. We thus believe PixArt’s camera phone chipset will regain growth momentum in 2H06 and expect to see 40% sales growth in 2007, despite we estimate the sales from this product line would decrease 27% in 2006 due to poor performance in 1H06." "PixArt launched optical mouse sensor in March 2002 and this product became PixArt’s growth driver in 2003. However, due to the IP lawsuit with Agilent and heavy competition with several new suppliers such as Sunplus, PixArt’s optical mouse sensor sales sequentially dip in 2004 and 2005. 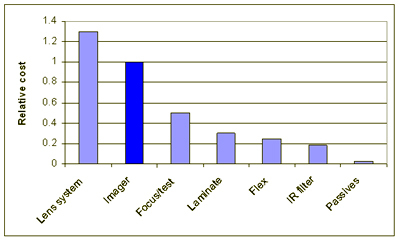 Currently, Avago (previous Agilent’s IC division) is the leader among mouse sensor suppliers with around 50% to 60% market share, and PixArt is the second leader with around 20% market share. We expect to see PixArt’s mouse sensor return growth trend in 2006 and 2007 due to the lawsuit settlement with Agilent on 14th July 2006 and the expected launch for new product, laser mouse sensor. After the lawsuit settlement, PixArt can ship its mouse sensor to America and we expect Logitech, the global mouse leader, will increase the adoption rate for PixArt’s mouse sensor thanks to its peering performance to Avago and lower price. Moreover, laser mouse sensor is expected to be a new growth driver for PixArt’s mouse sensor business in 2007, but we estimate the contribution is little due to price still too high to accept for consumers. We thus estimate PixArt’s mouse sensor sales would sequentially grow 8% in 2006 and 2007." Sunplus reports 1 , 2 and 3 on ISP, among other things. Sys-Con Media: Omnivision launched its 2um pixel generation CameraChip sensor. Being 1.3MP sensor in 1/5-inch optical format, the OV9660 enables a 25 percent thinner camera module. Based on OmniVision's proprietary OmniPixel2 technology platform, the new pixel architecture is claimed to significantly increase signal-to-noise ratio and perform exceptionally well in low-light conditions. The OV9660 comes in CSP and COB packages and is currently available for sampling. Digitimes: The sources cited OmniVision's decreased orders with TSMC. OmniVision's orders for TSMC in August and September decreased significantly compared to July, the sources added. Yahoo-Finance: Toshiba announced the 3.2 megapixel ET8EE6-AS CMOS image sensor and 2.0 megapixel ET8EF2-AS CMOS image sensor SoC with integrated ISP. count in a 1/4-inch format. also supports 15fps in UXGA output, and 30fps in VGA output. control and lens shading compensation. control, and automatic blemish correction. Tech-On! : Sony consumer HDTV camcorder HDR-HC3 uses 1/4-inch ClearVid CMOS sensor with color filter's balance R:G:B=1:6:1 (1:2:1 in regular sensors). Based on human vision's property, green plays a role to determine resolution, and therefore, Sony increased the green balance as much as possible to achieve high resolution pictures. Sony applied the same color balance as a trial in the pofessional HDV-V1J's sensor, but "color blurring could not be eliminated" (a company spokesperson) in the end. The company therefore prepared sensors respectively dedicated to each primary color for HDV-V1J. By shooting video with pickup 1/3-inch sensors respectively dedicated to three primary colors (R, G, B), the camcorder boasts enhanced resolution and color reproduction. Cameratown: The FotoNation Dust Removal Technology automatically removes dust from digital images. FotoNation has been awarded a U.S. patent for this technology and has 10 additional patents pending in the U.S., Europe, and Japan. FotoNation eliminates dust from images using in-camera software which distinguishes between dust and real detail in the photo. The software dynamically builds a map of every dust-spec and then tracks changes and movement of the dust particles to distinguish dust from the details of the photograph. The technology has been designed to scale across multiple platforms is optimized to run as embedded software in digital cameras and mobile phone cameras as part of image acquisition. Dust is a significant problem in the production of camera modules for mobile phones. Mobile phone camera modules typically consist of an image sensor hermetically sealed inside a plastic package with a lens and image processor. Dust contamination on the image sensor during assembly of the camera module is a costly source of reduced manufacturing yield. The FotoNation Dust Removal Technology can increase manufacturing yield and image quality for these products. Jova Solutions announces Image Sensor Lab ISL-1600 Version 2 low-cost (less than $5000), integrated CMOS image sensor/camera module evaluation, specification and test solution. ISL-1600 2.0 is a generic engineering solution for the full evaluation of CMOS image sensors that can test most image sensor designs. Version 2, amongst other changes, adds bi-directional voltage level buffers, improved Master Clock options, SPI and I2C sensor communication, and double buffered and consecutive image sequence capture. Yahoo: It's official now. Troubled ESS looks for potential acquirers or business partners for its image sensor division in attempt to concentrate on its core DVD and audio products. UK-based Apical Ltd. is well known for its high-quality contrast enhancement algorithms. Also, Apical makes other image processing modules for digital cameras and camera-phones. It sells its software and IP cores to Nikon, Olympus, Sony-Ericsson and TI, among others. Identix (MN, USA) makes face identification IP used by Nikon cameras in face-priority AF system. Yahoo-Finance: Dongbu is advancing CIS wafer processing from the 0.18-micron to the 130nm node. Dongbu's new process enables the manufacture of CIS devices with 1.3 Megapixel resolution and 1.5V supply voltage. The new process also promises a greatly enhanced resolution, gray scale and relative illumination thanks to proprietary Dongbu processing techniques and technologies that have virtually eliminated "dark current" widely believed to be the most difficult problem to resolve in CIS imaging. Two algorithmic image stabilization solution were presentaed on recent SIGGRAPH'06 in Boston. DigitalCameraInfo reports that the two techniques will be combiled in future. Barrons: Daniel Gelbtuch of CIBC World Markets: "competition in 2 megapixel sensors has intensified significantly, in particular from the Asian sensor companies MagnaChip and SiliconFile." “[W]e believe MagnaChip, emerging revitalized after a two-year hiatus, is stalking sockets at top-tier accounts such as LG, one of OVTI’s largest customers, and that SiliconFile is making notable progress targeting major accounts (such as LG, Samsung and Pantech,)” he writes. Business Wire: Global Optics Limited ("Global Optics"), has developed a 1/4" 1.3MP CMOS camera module (CCM) incorporating the "voice coil motor" automatic focus function. Global Optics was able to enhance the CCM's focus range from 10 centimeters to infinity and improve its response time to about 0.7 seconds. The most interesting portion of the announcement is "improved image stabilization for taking still pictures". Yahoo-Finance: Pixelplus launches new 1/4.2" PlusPixel(TM) 1.3 Megapixel 'System-On-A-Chip' image sensor with its new foundry partner (probably UMC). Based on 0.13 um CMOS process, the PO5130 uses 2.6um pixel array. This is quite an innefective use of 0.13um process, as most of other companies make 2.2um pixel in this process. Tech-On: Eamex Corp. has developed an actuator for use in optical image stabilizers targeting phonecam modules. Compared to the previous electromagnetic actuators, it boasts a thinner profile as well as simpler structure, lower cost and reduced power consumption. The prototype is as thin as 1.5 mm and measures 14 mm in diameter. The ion exchange resin that supports the lens holder expands and contracts to tilt the lens. The maximum tilt angle and speed are ±2.9° and 14.13° per second, respectively. The power consumption is 15-35 mW. The drive voltage is ±4 V.
EETimes: TSMC's board also approved an increase of the investment not exceeding $27 million in VisEra Technologies (Hsinchu), a provider of CMOS image sensor foundry services. In October 2003, TSMC and CMOS image sensor maker OmniVision Inc. (Sunnyvale, Calif.) entered into an agreement to form a joint venture called VisEra Technologies in Taiwan. VisEra's mission is to provide manufacturing services and automated final testing in the CMOS image sensor arena. TSMC and OmniVision also entered into separate non-exclusive license agreements with VisEra pursuant to which each party licenses certain intellectual property to VisEra. In August 2005, TSMC and OmniVision amended the deal. Under the plan, the parties agreed to raise the total capital committed to the joint venture from $50 million to $68 million. "The $18.0 million increase was designated principally for the acquisition from existing shareholders of approximately 29.6 percent of the issued share capital of XinTec Inc., or XinTec, a Taiwan-based provider of chip-scale packaging services of which [OmniVision] directly own approximately 7.8 percent," according to a filing by the U.S. supplier of CMOS image sensors. In fiscal 2006, VisEra invested an additional $0.5 million in XinTec as their portion of an additional capital injection to enable XinTec to expand its production capacity. 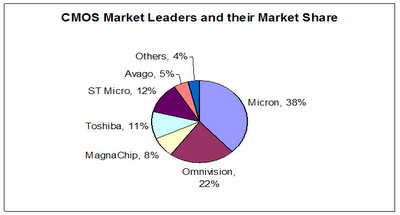 In total, TSMC and OmniVision increased their stake in VisEra from 25 percent to 43 percent. In the quarter ended January 2006, the two companies increased its interest in VisEra from 43 percent to 46 percent through purchases of unissued shares. In January 2006, VisEra purchased from TSMC the equipment used for applying color filers and micro-lenses to wafers. VisEra is now providing the related processing services that OmniVision previously purchased from TSMC. "We outsource our wafer manufacturing for CameraChip image sensors to Taiwan Semiconductor Manufacturing Company, or TSMC, and Powerchip Semiconductor Corp., or PSC," according to OmniVision in a recent filing. "In addition, TSMC and Semiconductor Manufacturing International Corporation, or SMIC, fabricate our companion DSP chips." "Now I’ll give you an update on our camera phone business. Our Digital Imaging business had revenues of approximately $5.4 million in the fourth quarter inline with our estimates. These revenues came primarily from shipments of 1.3 Megapixel launches for Samsung and 1.3 mega pixel chips sales to LG Electronics. We continue to move our business model away from selling modules to selling silicon chips only. Our major customers are inline with this strategy and we were working with several margin manufacturers worldwide. Today we have camera designs in many different handsets worldwide. Many of these new designs come from Korea both from Samsung and LG as we mentioned previously towards all kind of manufactures in the world. We also planned an additional higher performance lower cost integrated image sensor and image processor systems on a chips in the next several months. These chips will utilize advance 40 and shared 40 pixel technologies. We demonstrated a new 41.3 Megapixel system on chip at the CES show this year and we will sample this product this month. The initial feedback from our customers with the quality of the pictures taken with this chip is very nice, is very good and we believe it will be well received by the market. We believe these new products puts forth the base for future growth for the camera phone business. And I will get detailed guidance for ESS business in the first quarter of 2006." Now what is 41.3 Megapixel? It was supposed to be "four-tee one point three megapixel = 4T 1.3MP", I believe. Same manner, "40 pixel technologies" are probably "4T pixel technologies". "Now, I'll give you an update on our camera phone business. Our digital imaging business had revenues of approximately $2.5 million in the first quarter inline with our estimates. These revenues came primarily from shipments of our 1.3 megapixel chips to LG Electronics. Today, we are currently sampling our new 4T 1.3 megapixel, system-on-chip to customers worldwide. We are also developing new higher-performance, lower-cost, integrated image sensor and image process system-on-a-chip, which we plan to introduce to the market later this year. These new chips will utilize events, share at 14 pixel technologies, and we believe these advanced 4T-shared products will provide ESS with the combination of high-performance and low-cost products that the camera phone market requires." 14 shared pixel probably comes from they are saying "shared four-tee pixel=4T pixel" which sounds like "share at 14 pixel"